The workshop is now full. If you would like to be on the wait list in case of cancellations please Whats App or Viber Message us on +6594882623 with your name and ” ManilaSpineWaitList” . 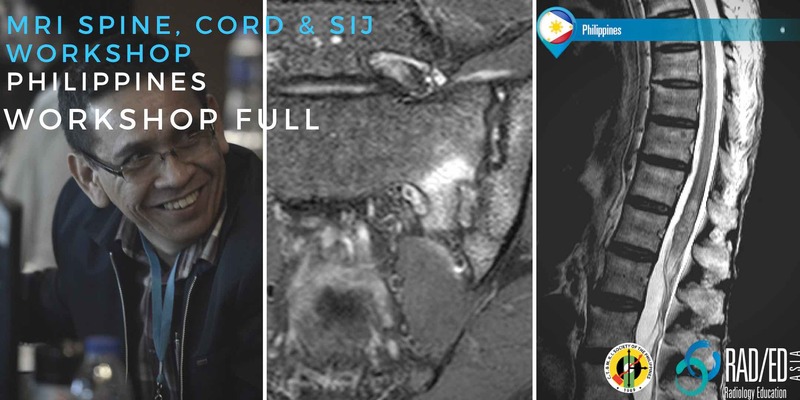 We will be having a 2 Day Spine, Cord and SIJ MRI Workstation Mini Fellowship and Workshop in Manila on the 16th and 17th of March 2019 and registration is now open. We are very pleased to be continuing our collaboration with CTMRISP in 2019 and the workshop will be held in conjunction with CTMRISP. Spinal Imaging is so common but we often don’t get taught a structured way to assess the spine, cord and SIJ and the various pathologies. In the Workshop we will cover all the major and common abnormalities seen in these regions. Click on the image below for the agenda for the workshop. 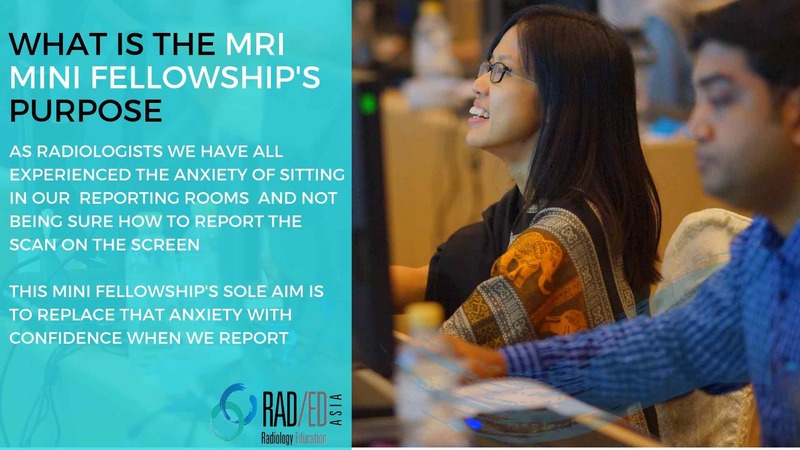 MRI MINI FELLOWSHIP AND WORKSHOP: WHAT IS IT? CPD POINTS for Philippines radiologists will be coordinated by CTMRISP. RANZCR will credit 33.5 CPD points which are recognised by most International Colleges and Health Authorities. RCR will recognise points awarded by RANZCR. WHO IS THIS WORKSHOP FOR? We have Radiologists, Rheumatologists and Sports Medicine Physicians attending and the workshop will be suitable for any Medical Doctor who has an interest in or deals with MSK injuries. 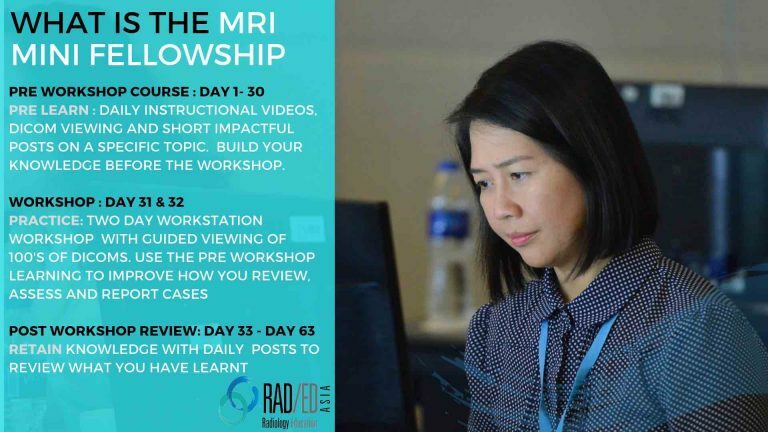 The level of the workshop is for Doctors with limited to intermediate experience in Spinal MRI who wish to improve their reporting of Spine MRI cases. The workshop would not be suitable for you if you have significant experience in reporting Spine MRI or have done a MSK or Neuro Fellowship.